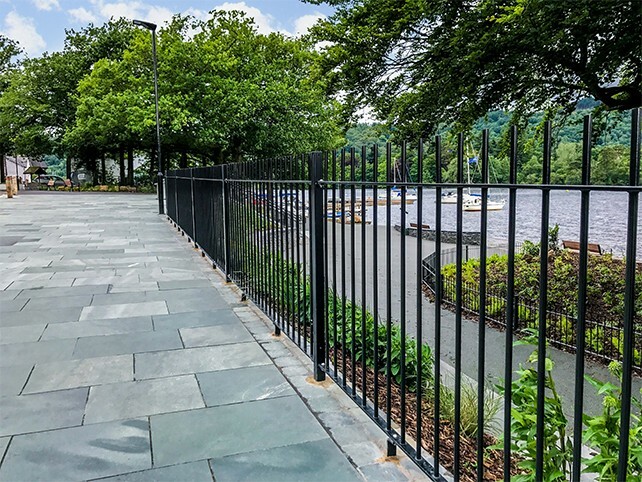 We like to think that nothing brightens up a drab and dreary park, house, building complex or helps to ensure pedestrian safety on a road side better than attractive metalwork from Alpha Rail. With our commitment to high quality manufacturing and our vast range of finishing touches, you can rest assured that you have chosen metalwork that will last for many years in the toughest of conditions and be entirely fit for purpose. We manufacture everything in house and can supply or install all railings, gates, Juliette balconies, handrails and other bespoke metalwork to your exact specifications. We can complement railings with decorative gates,barriers and archways. Our large range of high quality finishes and colours ensures you can select options which will allow railings, gates and fences to blend in with the surrounding environment. Anti-spam: What is 100 plus 50?